So I know I already posted about the ruffle top trend, but look what we have here, a ruffle blouse, which I'm saying is completely different to a top with a ruffle on it. 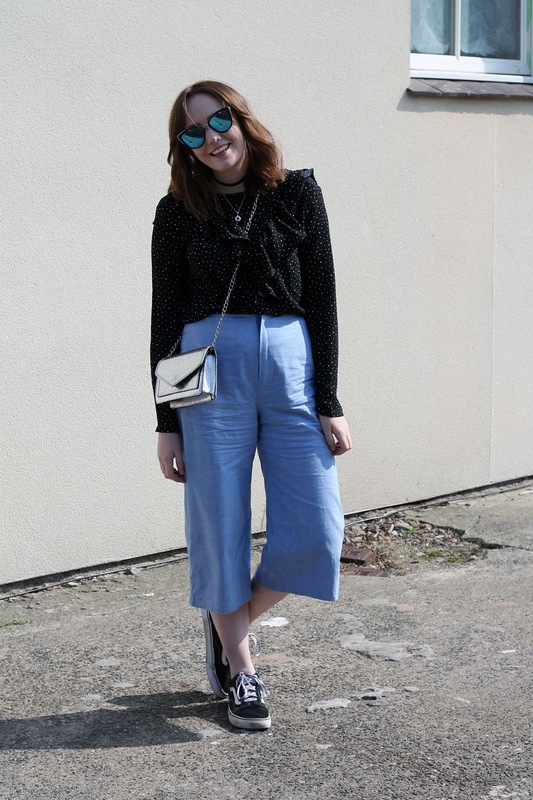 The ruffle trend is definitely here to stay for spring and summer 2017 and it seems like culottes are another spring / summer staple this year too. So naturally, I paired them together for a quick spring outfit. Well, I say naturally, it took me 40 minutes to get dressed. 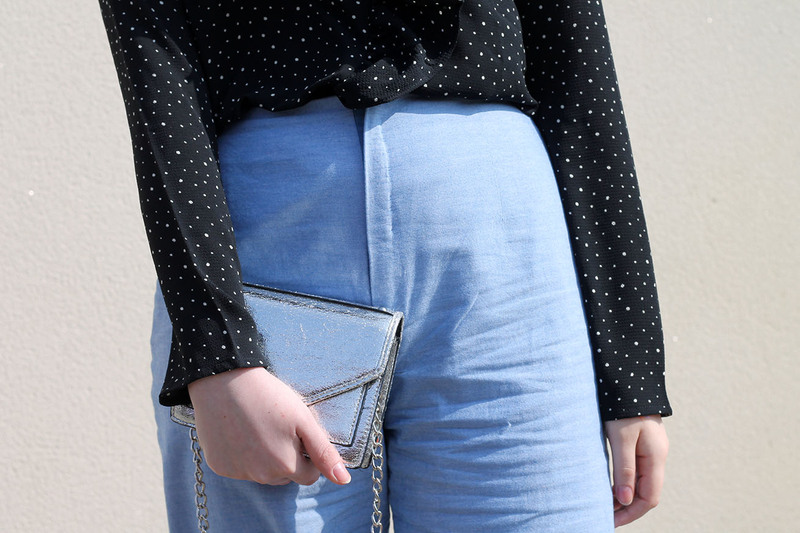 I was feeling totally stuck in a blue jeans rut for the past few weeks, as you can see from my Instagram where I post more regular outfits. So I headed out to town to look for a new piece to get me excited about my wardrobe again. 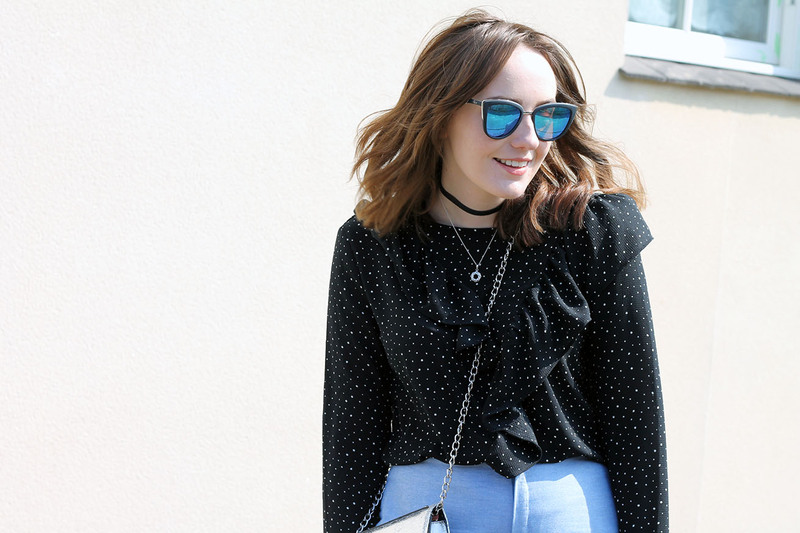 Now I know a blouse doesn't exactly get me out of a blue jeans style rut, but it did help me think up some new outfit ideas. 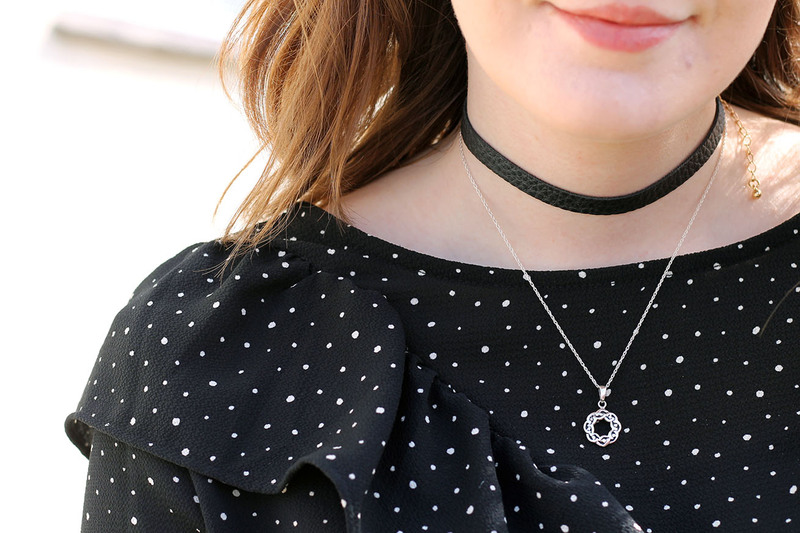 In fact, there's some really cute ones ready for the warmer weather, so make sure you're following me on Bloglovin' to get some spring / summer outfit ideas in my upcoming posts. 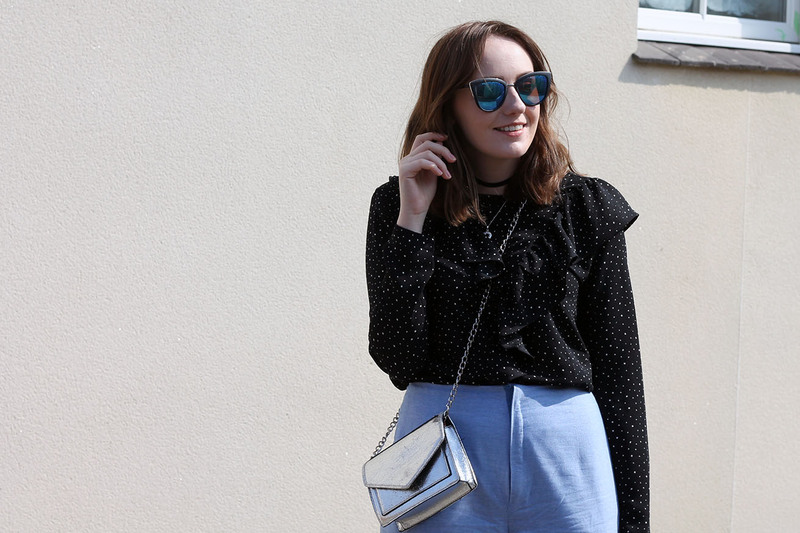 On that particular day I headed out to town to spruce up my wardrobe, I found this spot print ruffle blouse in Pull & Bear, a shop I'm digging right now. I'd seen it a few times before, also in the white version, but never really thought too much about it until this particular day when I tried it on and thought 'why not?'. Better yet, it was in the sale. Meant to be, right? What are your favourite 2017 trends for spring / summer outfits? Let me know in the comments! I love ruffles! 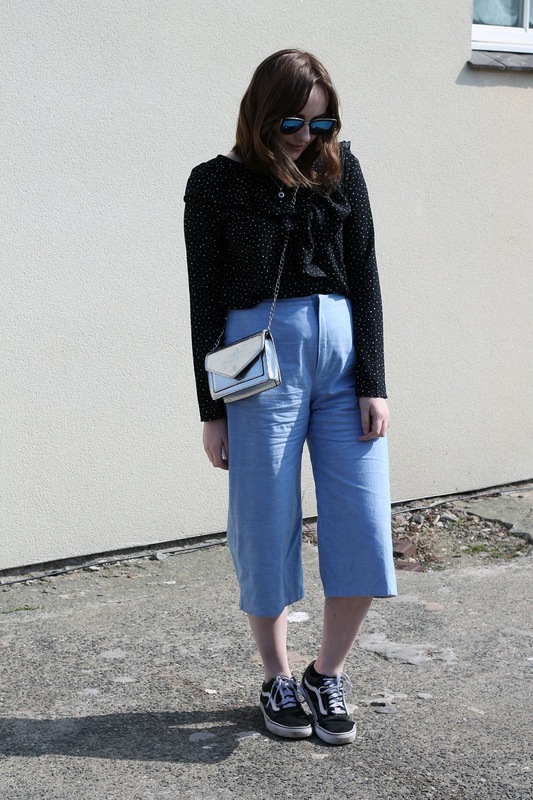 Your frilly boat-necked Pull+Bear polka-dotted blouse is beautiful, and it looks lovely styled with the pastel blue culottes. Wow those culottes look look great. Would love to see some more shots of you with those great Liverpool backdrops.